Don’t settle for some one-size-fits-all generic pickguard. Design your own with the finest-quality materials in the industry. Our Strat Prewired Pickguards are the perfect product for anyone who wants the Fralin Tone, instantly. We use the finest materials available: from CTS® Pots, AllParts® Pickguards, and CRL® Switches. Choose between Stock Stagger and Hybrid Stagger. We will hook you up with 2 tone caps if you choose two tone pots. We recommend choosing two different value caps for ultimate tonal variation. Please use the “Additional Information” field below to tell us which tone cap goes where. For instance, you may want a .02mfd Master Tone in Tone 1, and a Magic Cap in Tone 2. Add an extra dimension of tone by modifying your Volume Pot with a Push / Pull Pot. Please use the “Additional Information” field below to tell us how you want it to work. Add even further functionality to your guitar with a Tone Pot modification. To speed up your pickguard, we need to know which tone cap goes where – please use this field to give us all information! At Fralin Pickups, we’re always trying to make you sound better. The Fralin Prewired Pickguard offers the best tone and highest quality available. We use our world-famous pickups with the best ingredients we can get. We hand-wire our prewired pickguard with painstaking attention to detail. Furthermore, you can customize your pickguard exactly how you want it! With this Prewired Pickguard, you can have famous Fralin tone and ease of mind. All you need to do is solder a few wires, screw it in, string it up, and you’re off rocking! With our pickguards, you can choose any combination of pickups you would like. Load in a calibrated set of pickups like our best-selling Vintage Hots or Blues Specials, or mix and match! Customize your look further with our Strat Pickup Covers. We have White, Parchment (Aged White), Mint Green, and Black covers available. You can customize your wiring as well! We’ll wire your pickguard to your specifications. Most of the time, you’re going to use 250K Split Shaft Pots, as these work well with our plastic knobs. If you’re using your own metal knobs with a set-screw, choose Solid Shaft pots. Confused? Check out our in-depth article on pots and how to choose here. We have a ton of add-ons available for your pickguard. Want a baseplate installed on your bridge? How about our Volume Kit? Need new pickguard screws? Just let us know! Complete your look with a matching backplate for your Strat. 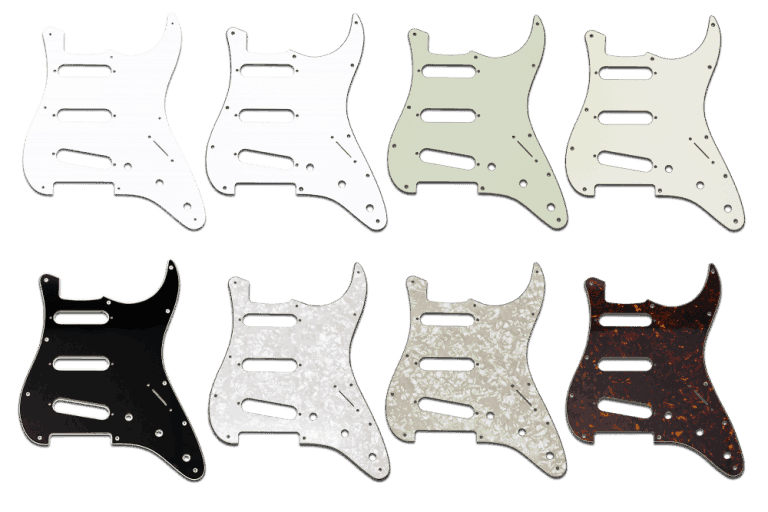 We have matching backplates for all of our pickguard colors. How long will my Pickguard take? One week on average. Can you wire it up without the Pickguard? As it turns out, No. You can transfer all the wiring once you receive it. It’s time consuming and unsafe to ship it without a pickguard. Can I return my Pickguard? No. Since these are custom and made to order, all pickguard sales are final. Returns and exchanges are not available. What Pots should I use? Most of the time, 250K Split Shaft pots will work best. They are for guitars with single coil pickups and plastic knobs. If you have metal knobs, go with Solid Shaft Pots. To order Solid Shaft Pots, please use the “notes” field on the checkout screen. Do you offer Pickguards in Left Handed Configuration? Yes – we only offer them in the following 4 options: White 3 Ply, Black 3-Ply, Parchment 3-Ply, and White Pearloid. Please use the “Notes” field to request Left Hand after you’ve selected your options. Note: We can’t perform common push-pull mods on Left-Handed Pickguards. What if I don’t see exactly what I want? 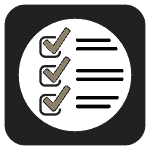 Use the “Notes” field on the checkout screen to type in any special requests – we’ll try our best to accommodate you. Not all custom wiring options are possible. What does a Blender Pot do? Our Blender Pot takes the place of Tone #2, and it allows you to blend between the Neck and Bridge. You can get all 3 pickups on, and Neck and Bridge combinations with a Blender Pot. 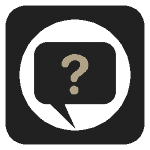 What does a Baseplate do? A Baseplate is a steel plate that adds a little bit of bass and power to your bridge pickup. Why don’t I see Ground Jumper wires between all my parts? Our pickguards have a metal shielding that connects the metal parts together – we don’t need to use jumper wires. Great quality material – Tone for days- I am happy! Lindy made me a prewired strat pickguard. 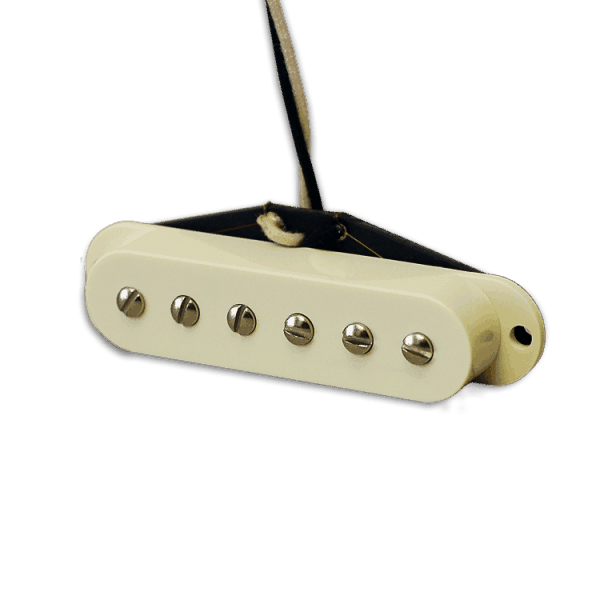 The pickups are the High Output on the neck and middle and a Steel Pole 42 on the Bridge. When I opened the box I was amazed by the quality of the components they use at Fralin. It was really easy to install (as easy as it is shown in the video on youtube) and it took me 20 min to do it myself. I took that long because I am not used to handling the solder pen and I was extra careful. I sound like myself with the sound of Hendrix and SRV at my disposal. Buy it, you will not regret it. 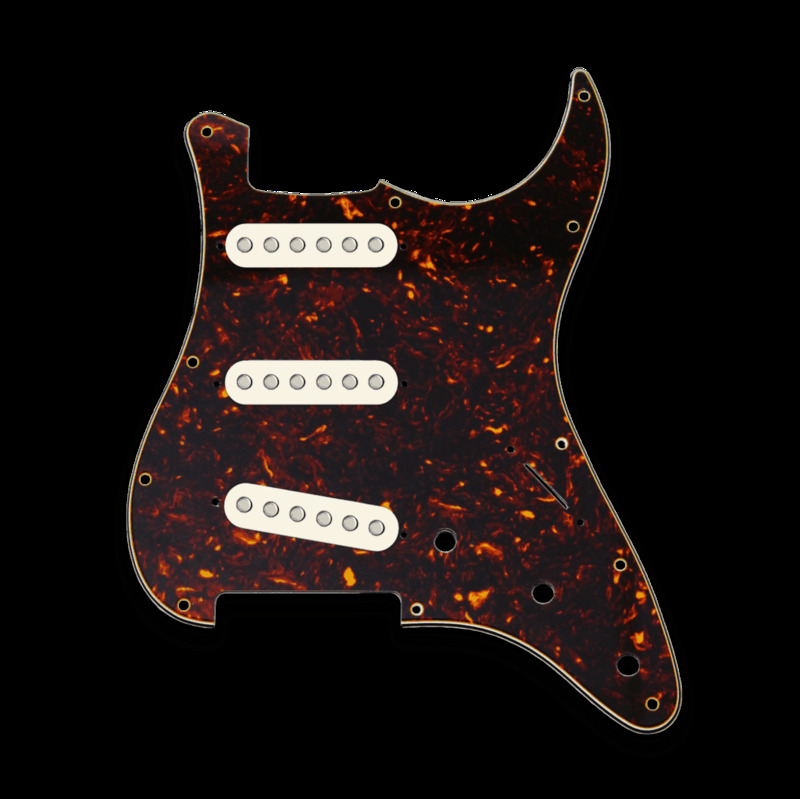 Burnt Strat Fury. Smooth with some serious sting! The Prewired Pickguard arrived fast and in perfect condition. I reviewed your videos and found the install and setup to be straightforward. I love the pickups, they have made a big improvement over my Custom Shop Fat ’50s that came stock from Fender. I’m still experimenting with the Blender Pot and really liking it. This customized choice for the prewired pickguard has really made this Strat a delight to play again. Pre-Wired Strat pickguard with Vintage Hot’s. The pickups meet all of my expectations. The wiring on the pickguard is neat and well done. The entire process from ordering to delivery was quick and simple. Great pickups, better customer service! These pickups sound absolutely amazing. The pickguard was wired better than I could have asked, but let’s face it, we know that already. I had a minor issue with the pickguard, they quickly replaced it for me and were incredibly easy to deal with. Unrelated, their T-shirt’s are incredibly comfortable! Just dropped a pre-wired into my old Strat Plus, which never really sounded the way I wanted with the the Lace Sensors. I knew as soon I opened the box that this was the real deal – the craftsmanship is obvious and everything just feels well constructed. I’ve never soldered before in my life, but watched the instructional video a few (dozen) times and got to work. I went with Vintage Hots in the neck and bridge and a Real ’54 in the middle. It’s brilliant. Every position is unique, useable and singular — the guitar feels more versatile, more responsive, more playable. Could not be happier. Love these pickups! Brought new life to an old guitar. Good Decision! I purchased the loaded pickguard with Vintage Hots, a Baseplate on the Bridge, and the blender pot. The pickups sound great and the blender pot is very helpful. Ordering was easy and the pick guard arrived quickly. Blues Special bridge with baseplate and vintage hots for middle and neck. I’m extremely happy with the tone of my Strat. It’ has snap and great quack Strat tones, but also has a nice rock bridge tone thanks to the Blues Special combined with the baseplate. Excellent pickups as I have always received from Lindy. Wow. These pickups far exceeded my expectations this is the tone I’ve been struggling to find. Thanks guys! Solid except for the cap. Love the pickups, but the magic cap in the bridge was a big mistake for me. Even though it boosted the mids, I couldn’t get rid of a harsh top end, no matter where the control was set. Once I replaced it with a 22 cap, I felt like the bridge pu really started to shine. The baseplate adding thickness and low end to the bridge was more apparent without the magic cap as well. Maybe I just got a dud, but for my ears, the magic cap didn’t match the description on the website. Having said all that, fralin pickups have really breathed new life into my 90s American Strat. Also, I got the prewired pickguard, and the fralin pickup selector switch is noisier than my old one. Almost very satisfied!! Prewired Strat Pickguard with Real 54s: Excellent sounding pickups! Crystal clear and open and I just love the blender pot. Cheers, T.
I love Lindy’s pickups and this loaded pickguard is excellent! The blender pot is a must have mod…very usable. I wouldn’t have a strat without it. I have the same loaded pickguard with vintage hots on my other strat. Listen to your playback with these p’ups and you’ll be sold for life. If you want a slightly thicker tone with a little more growl, the blues specials are the best available. There are different sets out there, but none better. High output strat pickups are smoking!! I now have the best sounding strat ever in my opinion. I love the fat dark sound I get from these high outputs in all positions, and there is still great high end detail. Simply incredible pickups, the pre-wired pickgaurd is the way to go. Great job Lindy and the Fralin team! Vintage hots. The service was great and the prewired loaded pickguard with the Vintage Hots sound fantastic. Thank you! My first build made easy. I have played guitar for 30 years and never owned a Strat! The time has come, and I knew that I couldn’t afford a custom shop, and that I wanted some specific improvements. Fralin pickups were a must. And the sound clips led me to choose the Real 54’s in the Neck and Middle, with a Vintage Hot in the Bridge. I had the volume kit wired in with a Neck/Middle tone knob and Magic cap on tone 2. Install was easy. Guitar looks and sounds amazing. Two small comments: I have recently discovered Fuzz (have been an overdrive guy for a long time). If I were going to order the pickups today, I’d go with the Vintage Hots, with a Blues special Bridge. I’d also get the Tone 2 wired with a push/pull Magic cap and regular tone for the Bridge. The guitar tone sounds amazing with Fuzz on, and volume rolled down. I can also dial in the more Fuzz sounds if I had a real tone knob. Not a big deal, because I can now stack OD on top of the Fuzz. All, in all really great product. Very good pickups!! The Blues Specials in the neck and middle give me that classic strat tone while the noiseless Steel Pole Bridge is just perfect. I got it wired to the second tone control and it is exactly what I need in the bridge position. I would say if you use a humbucker in the bridge but miss the single coil tone you should try one of these.. Thanks Lindy for the great service as well!! Finally, the sound I’ve always wanted! I’ve had my Strat for 22 years now, been through two other sets of pickups (Lace Sensors and Texas Specials) and never got the sound I wanted exactly. This pickguard has solved that problem finally. Love the Vintage Hot pickups and especially what the base plate does to the bridge pickup, adds that little bit of needed oomph to that position that always seemed missing before. It’s also the first time I’ve felt the pickups output was nicely balanced in all positions. Best decision I made to freshen up my old Strat. Amazing Strat tone! The prewired pick guard was incredibly easy to install and sounds amazing. I’m so glad I made this upgrade and wish I did it years ago. Smoking!!! I got a SSS loaded pick guard with all high outputs. They sound killer, super fat, super dark, and in just the right balanced way. I even stuck with 250k pots and they still have highs that sing, just without some of the harsh frequencies that are present in most Strat pickups. I play a lot of trio gigs where we cross from jazz standards to blues, funk, and rock fusion and these are just the right sound. I also play in a R&B/classic rock group and these pickups can do it all. They just have a huge rich clean sound that will sound great for anything. The Fralin company also makes the pick guard wiring as pro as can be, and super easy to install. Damn, I am stoked. Wonderful Tone! I got these to complete my new fiesta red build. 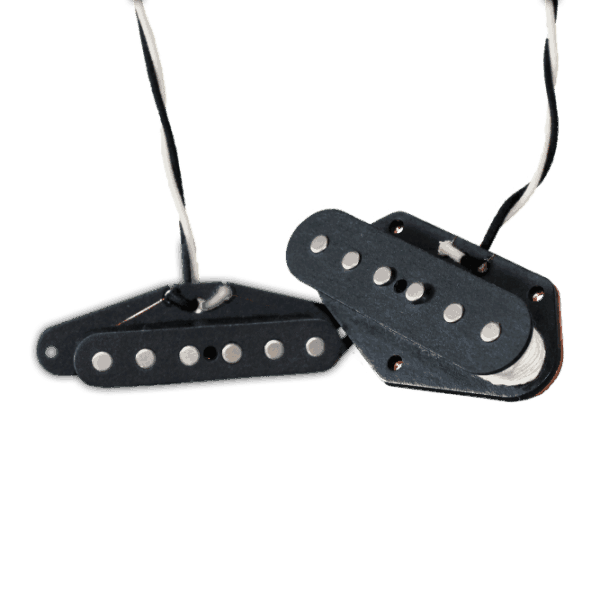 I have used just about every pickup imaginable and these are top notch in every way. They bring all the personality you could ever expect from these style of pickups. Superb! Even though I could do all of the soldering and assembly myself, I am very happy to pay someone else to do it for me. My time is precious and it saved me a bunch. The quality of the work was fantastic. Also introduced me to a blend pot on a strat which I never would’ve thought to do myself. By the way, the steel pole 42 in the bridge is a revelation of awesomeness. Bravo! What Fender Should Have Placed in Their 72 Strat! For 40+ years I’ve been looking for that right combination of Strat, box, amp, etc., that allows for the sweet, ringing chime of Strat, with the sustain of Gilmour, and the impending explosion of Hendrix. And, just a little hair and crunch for a chord or 2. Until now, the bass response has been flabby and loose. I had to revert to Series wiring. I can go on about some of your competitors offerings; too humbucky; too much like a Tele; not much difference at all from the originals. Now, for the Lindy’s. I’m glad I ordered the “High Output” Strats. Your scale might be a bit conservative, but no matter. They are precisely what I was looking for. Sweet clean, sweet with a little bit of crunch, with the ability to fully take advantage of a Fender amp at the sweet spot. My only complaint has more to do with your web site (and the gentleman who answered the phone when I questioned him about some of choices when ordering). Primarily the Bright Switch push/pull Volume and Tone pot selection. I opted for the volume. All this does is bypass the volume – in effect setting it to 10 – when pulled out. I find it easier to roll the volume up and down with my pinky. 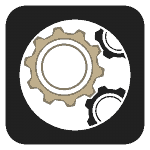 I was about to rip the damn thing out – cleaner signal, you know. Then i figured i didn’t have to use it, kind of like an appendix. This is the reason I didn’t give this product a 5. Awesome! I ordered a prewired pickguard with the Split Steel Pole in the bridge and Blues Specials in the neck and middle because I wanted to recreate the sound of my SRV strat but with P90 tone in the bridge for a new build. I was not disappointed, the pickups sound great. I get traditional strat tones in the neck and middle positions and get gnarly P90 goodness in the bridge when I want to scare the kids. I placed my order online and Lindy himself phoned me at home to confirm what I wanted. I can’t say enough good things about my experience. Real ’54 Prewired Strat Pickguard. I love the sounds I’m getting out of these pick-ups. I just can’t believe how good they sound. Classic Strat tones now at my finger tips. Ordering and shipping was fast and easy. The wiring options really sealed the deal for me. Easiest Upgrade ever! This is my 3rd purchase of Fralin Pickups. Tele/ Blues Specials…Epi 339/ Pure PAFs and now your Prewired Strat Pickguard with Vintage Hots and Blender Pot. The whole operation took less than a 1/2 hour and took my MIM Strat to another level.Clean Bell-like tones with plenty of articulation at every setting. And with the Blender Pot the Tone Settings are infinite. I’ve been spoiled….but I’m loving every minute of it. Bought these to replace my American standard Strat pups. Was not expecting the amazing sound and tone I got from these. They blew away the originals ten fold! Awesome Sounds! I cannot believe all the tone plus the blender knob great tone. I am still dialing in the sound I want. The pickups are fantastic. I am very pleased with the customer service and getting it to me in such good time. I couldn’t be more pleased with the sound of these Fralin Vintage Hots. I love the glassy sound without being abrasive. All positions sound just fantastic with the bridge pickup having just a bit of extra grease. I ordered a pre-wired pick guard that arrived at my door in Canada in literally one week! Thanks! Their sound inspires me every time…expressive! After Seth Lee Jones installed the pickups I noticed a very good tone, which is very adjustable. They have that special quality of having a special tone, without turning to too much overload, which causes your guitar to sound muddy. Thank you for the quality job! What Strat pickups should be. These pickups are what I’ve decided to use. They are perfectly voiced for Fender black faced amplifiers. The blend knob is fantastic. The tonal options are near endless. The workmanship was perfect. I will be looking into the tele pickups, I suspect I’d be just as pleased. A dream! Simply put, I now have the guitar of my dreams, incredible tone, awesome response, this pickguard turned my strat into my dream guitar. In December, I bought the Strat pickguard pre-wired with three Vintage Hots and a Blender pot and installed it on my Warmoth partscaster Strat. They sound gorgeous on this rig, which has an unfinished roasted alder body and an unfinished goncalo alves neck and bocote fret board. I also had the neck PLEK’ed at Straight Frets in Austin, Texas last month. This guitar plays and sounds like a dream. The tone is unreal — it’s like some sort of super Strat. Thanks to Tyler for helping me select the pickups and other options. The blender pot is a lot of fun and I’m glad I got it. I am not a great guitar player, but these pickups make even my sloppy playing sound good. I got a mixed set with a blues special in the neck and real 54s in the middle and bridge. It all works together for a real versatile sound. Made a couple of calls to the company as well and everyone was super friendly and willing to answer my questions and help out. Will buy again! I ordered the custom pickguard with real 54 neck, vintage hot middle, and blues special bridge with base plate. They sound incredible. Huge improvement over the fender cs Texas specials that came with my Strat. Highly recommend. I highly advise speaking with a rep at Fralin to understand exactly what your ordering. The rep I spoke with helped me tremendously. Thanks! I have several boutique Strats and Strat-style guitars, most of them with rail/hum-cancelling pickups that I’ve used for years. I’ve loved them and the tone, but needed something different. I’ve read about Fralin’s for years and thought I’d give them a try. I ordered the pre-wired pickguard with the Vintage Hot in the neck, Real ’54 in the middle, and Blues Special in the bridge. Also, the Volume Kit and the Magic cap for the bridge position. I was surprised when I got a call from Tyler asking questions to make sure he wired it just the way I wanted it and offering suggestions…nice! When I got this everything was wired beautifully. 30 minutes to get it in. Another 10 to set it up and get the height just right and…my LORD! The TONE!!! My guitar came alive! Nuances and richness I hadn’t heard in years. And…no spike…chime, but not harsh. Surprisingly, for single coils, they are pretty quiet, as well…I won’t say there isn’t some hum…but nothing like other single coils I’ve played in the past. These pickups are amazing. PERIOD. I’m configuring the layout for my next set for another one of my guitars as I write this. The absolute in tone. This pre-wired pick gaurd was installed in a tired old 90’s strat (someone had swapped original pickups at some point). Considered this setup for quite a long time, and now that I have it, I wish I would have picked it up all long time ago. Just spectacular. Couldn’t ask for more, and worth every dollar. Thanks! Great stuff loved lace but these are better!!!!!!!!!!! First point, having a presided pickguard made installing it myself so simple, no need for a tech. But that doesn’t even scratch the surface about how great these pickups are. I ordered the Blues special in all positions, with the baseplate, blender pot, and volume control added onto the pickguard. The result is a level of tone control I had not experienced in this guitar before (93′ American Strat Plus), giving it new life, and giving me more desire to play it. The lows are resonant without being muddy, and the highs have that wonderful bright Fender tone without the almost “tinny” sounds I was hearing before. I have had them for a few months and it has become my go to guitar for everyday playing. I’ve been very happy with the pickups in my Strats but I’m always looking for something better, if it exists. After years of Fender, Seymour Duncan, Dimarzio etc. pickups and since I had heard so much about Fralin I decided to give them a try. This turned to be the best move I could’ve made. I don’t know how to explain what makes these pickups better but they are. Well worth the money. The prewired pickguard is the best way to go because of the options available (master tone control, magic cap for the bridge pickup, Fralin volume kit to keep your tone consistent when lowering the volume). Tyler was a big help with all the options so the Customer Service was amazing. Give these guys a try because I don’t see how anybody else could be better. I’ve had seven Gibson Les Pauls over the years. I liked them all, but sold my last one, a 1975 Custom, a few years back and went to Strats, Teles and big hollow bodies for my Humbuckers. Anyone who’s ever owned an LP knows darn well that if they sell it, they will get another one sooner or later. When the LP jones hit, I realized new LPs came with a California zip code hanging on the price tag. Too rich for me. So, I opted to try what I was optioned, a new Epiphone Custom LP (500.00) and trying some better pickups. I play every Sunday at a big church in Atlanta. Lotta folks. Me up there playing an Epiphone really bothered the guitar snob in me because I gotta look like, as well as sound like I got good gear. I put a set of Fralins in that Epiphone with CTS 500 pots. (It was fun gutting the Epiphone, by the way) Holy Lord! What a difference! I now play the little and lighter Epiphone almost every Sunday now. And I play it proudly! Killer tone that doesn’t leave me when I turn the volume down from the guitar! That is huge!! I’m trying the Fralin Strat pickups on a build project I’m doing now. Can’t wait! These pickups are for real!! I’ve been buying 3rd party prewired pickguards with Fralin’s in them for years but limited to what pickups and wiring the 3rd party was offering in their prewired pickguard. FINALLY, Fralin is offering prewired pickguards. Tyler at Fralin was awesome suggesting the right pickups for the tone I wanted. I immediately ordered a prewired pickguard with a Neck Vintage Hot, Middle Blues Special, and Steel Pole 42 for bridge in my Custom Shop Strat’. I was also able to get custom wiring (no mid p/u tone pot, a’ la’ EJ). This is the exact tone palette I’ve been trying to get with this Stratocaster! Not sure, but sounds RWRP since the 2 & 4 positions seem extremely quiet? Regardless, I can’t say enough about the tone, chime and fullness of these pickups. Love ’em! Thanks again all at Fralin…I know it takes a team!